Have a healthy new year by finding KOOEE! in your local Woolworths! 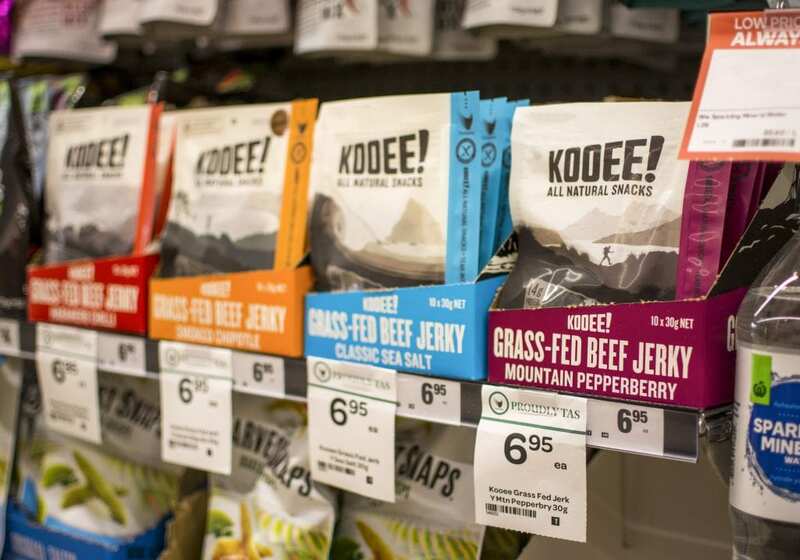 We’re delighted to announce that our beef jerky is now available in Woolworths stores in Tasmania and Melbourne. The full list of stores is below, with a few more to come in the next couple of weeks. We’ll be sampling our product at all our stores in the weeks to come, so keep an eye out for us!